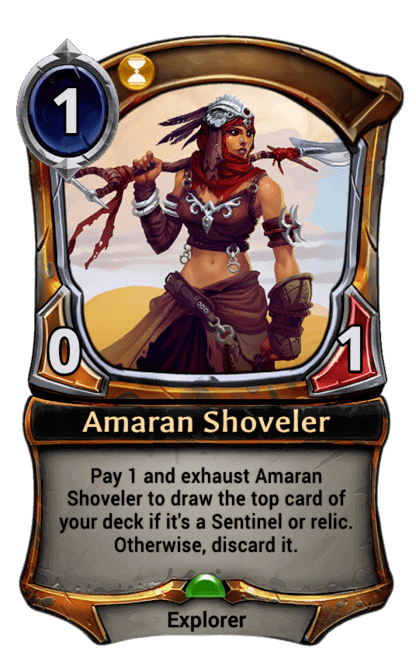 Pay 1 and exhaust Amaran Shoveler to look at the top card of your deck. If it's a Sentinel or relic, draw it. Otherwise, discard it.